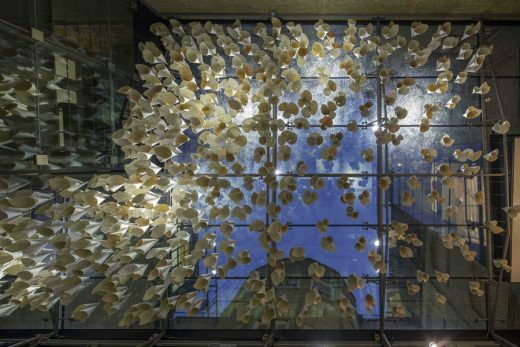 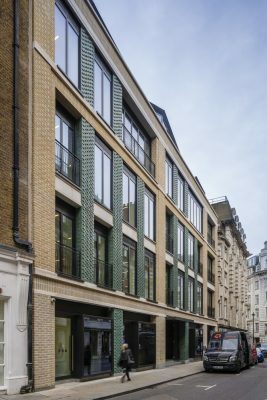 “Warwick street is the latest in a collection of Squire and Partners projects where the layers of history of a building are exploited in order to remodel and reimagine, rather than demolish and replace, offering more sustainable and time-saving possibilities that create more from less. 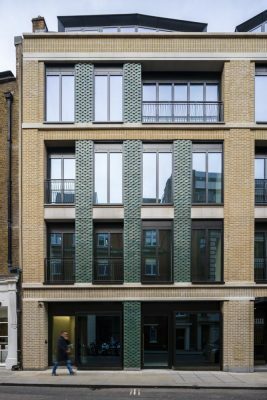 In the case of Warwick Street the full site history was explored, starting with the origins of the site as home to master fabric weavers Holland and Sherry’s, through the abstract and rebellious spirit of local Soho resident Francis Bacon, to the post-modern 1980s façade subseqently applied to the 1950s shell. 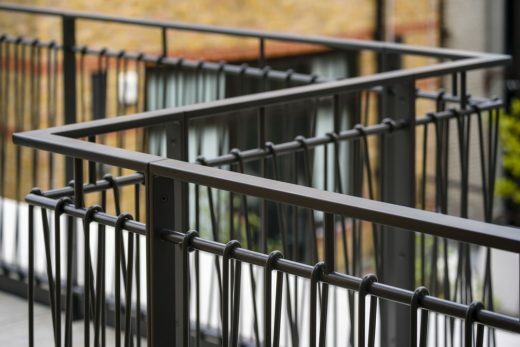 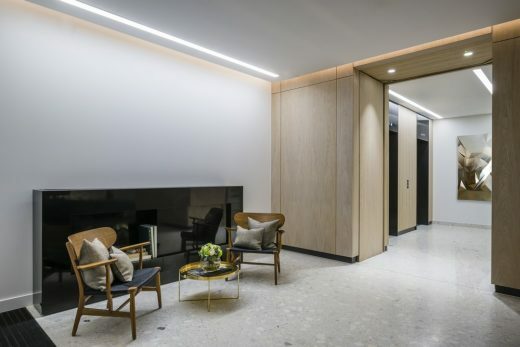 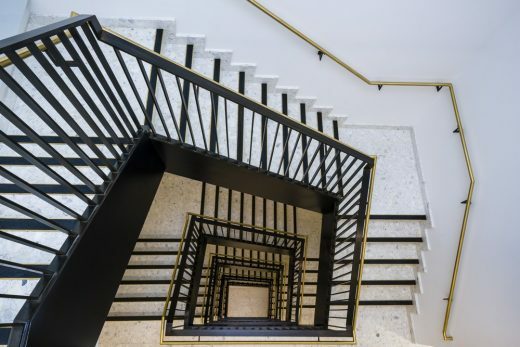 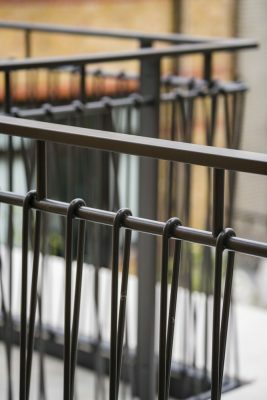 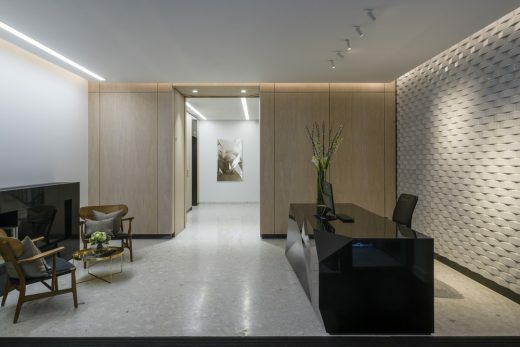 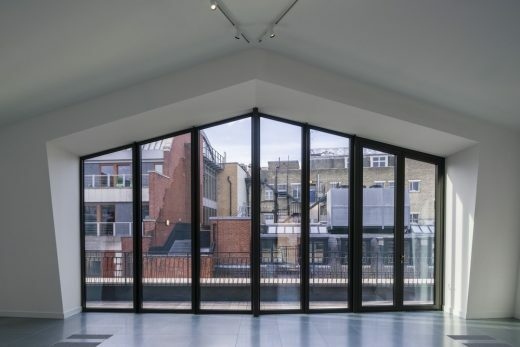 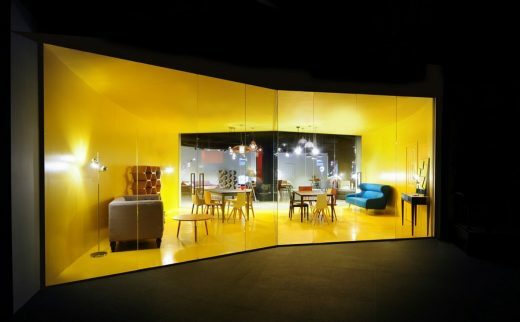 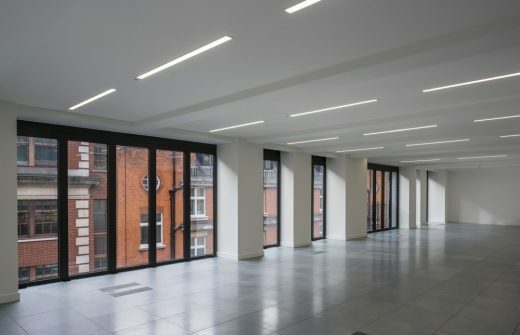 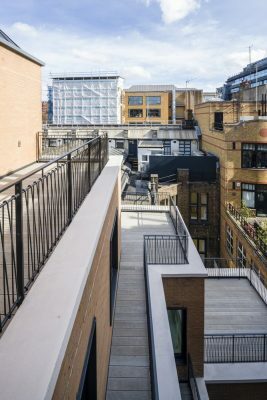 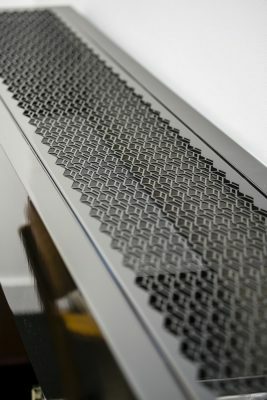 Squire and Partners has extensively re-modelled an existing 1980’s building to create a vibrant development that maintains its previous office and retail uses, but makes a more meaningful connection with the surrounding Soho Conservation Area by creating a contemporary crafted design. 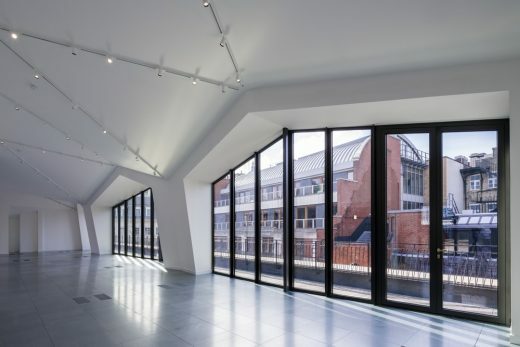 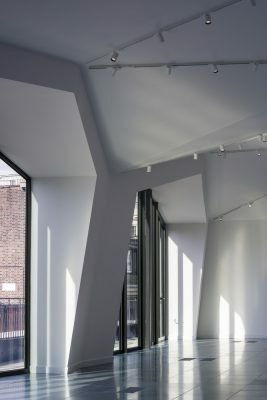 High quality office and retail spaces are provided within the existing building structure behind a new facade, while a new top floor is expressed as an irregular folded mansard. 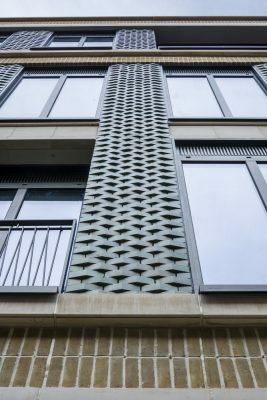 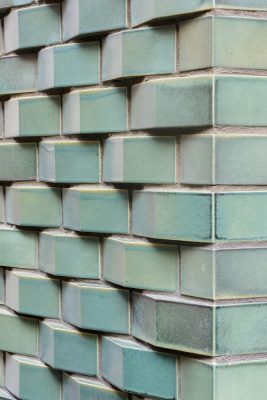 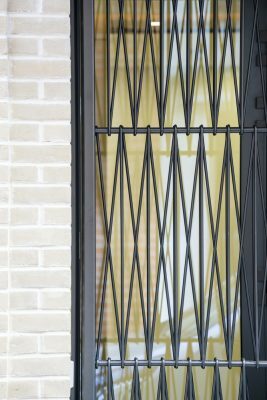 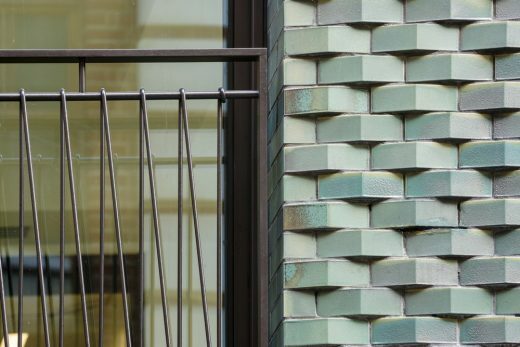 The new facade establishes a rational brick frame with stone spandrels, animated with vertical bands featuring ‘woven’ green tiles that pay tribute to the area’s textile history, and relate to the glazed tiles which define the surrounding streets. 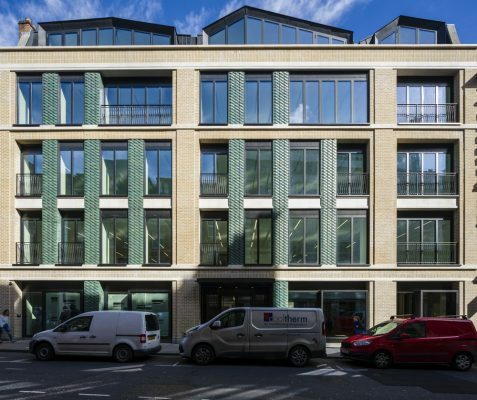 A series of full height glazed bays at ground floor create impactful retail units, while a canopied entrance marks the office reception. 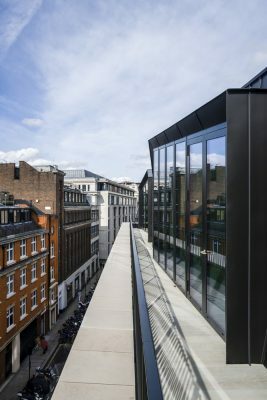 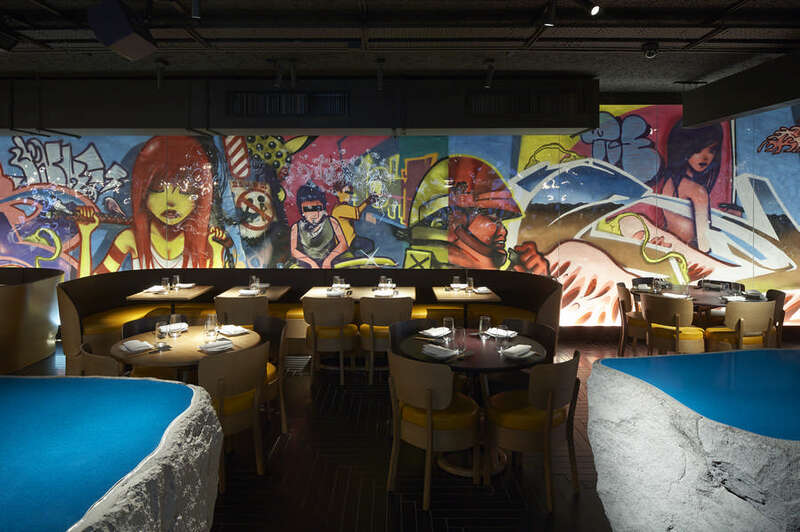 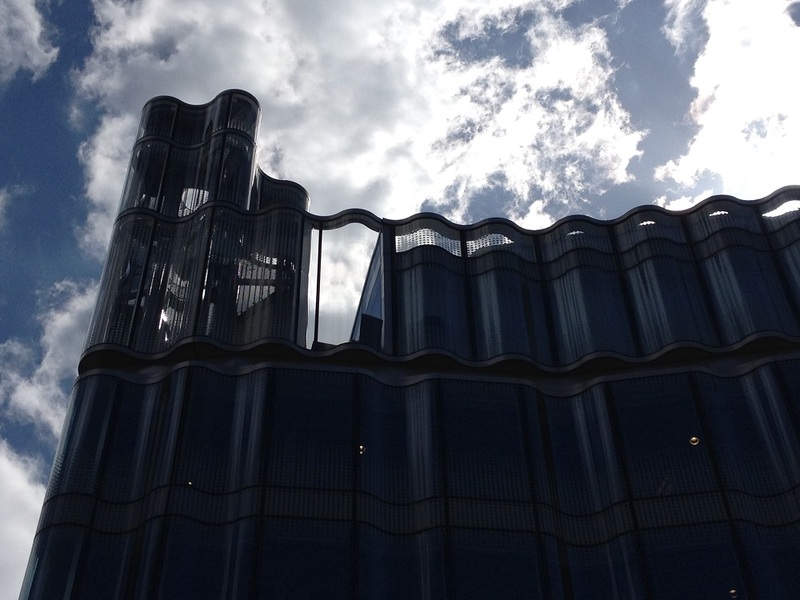 The metal-clad top floor creates a bold interpretation of a modern mansard roof, the erratic playful form making a nod to Soho’s history of rebellion and the inherent creativity which defines the local culture.